Bale: 'Dark' History with 'Terminator' Employee? Christian Bale ripped into the director of photography, Shane Hurlbut, on the set of "Terminator Salvation" -- but do the two have a shaky past? That's true, Batman! 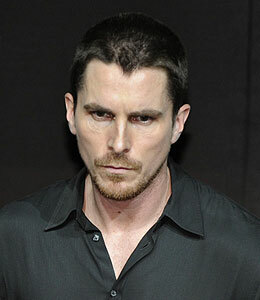 Reportedly, Bale and Hurlbut butted heads since production started. "Extra" friend Casey worked on the set -- and dished some info on the expletive-laced rant to "Extra." "Everybody enjoyed working with him (Bale)," said Casey, adding, "Maybe he was just having a bad day and took it out on the last person that sent him over the edge." "Terminator Salvation" hits theatres May 22. Have an opinion? Discuss this in our "Extra" community!